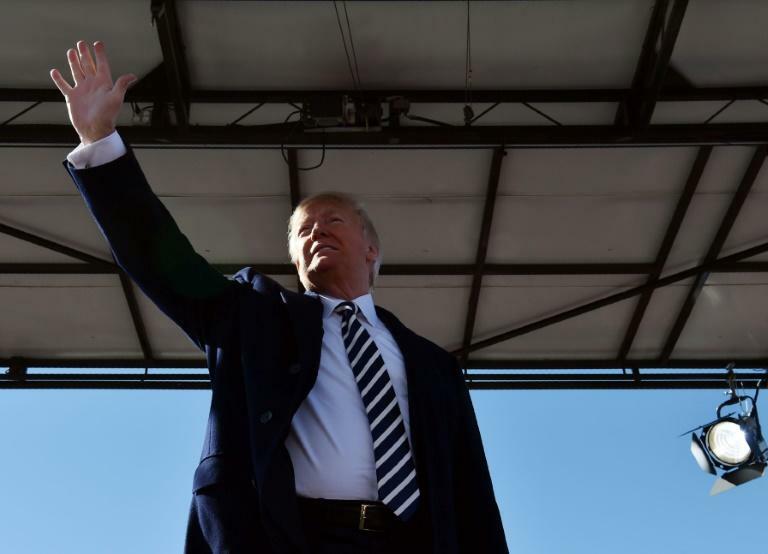 Moscow on Sunday warned US President Donald Trump that his plan to ditch a Cold War-era nuclear weapons treaty with Russia was a dangerous step. Ex-Soviet leader Mikhail Gorbachev, who signed the original document back in 1987, condemned the move as showing Trump's "lack of wisdom." Russian deputy foreign minister Sergei Ryabkov warned that withdrawal "would be a very dangerous step" and said Washington faced international condemnation in its bid for "total supremacy" in the military sphere. He insisted that Moscow observed "in the strictest way" the three-decade-old Intermediate-Range Nuclear Forces Treaty, known as the INF, while accusing Washington of "flagrant violations". 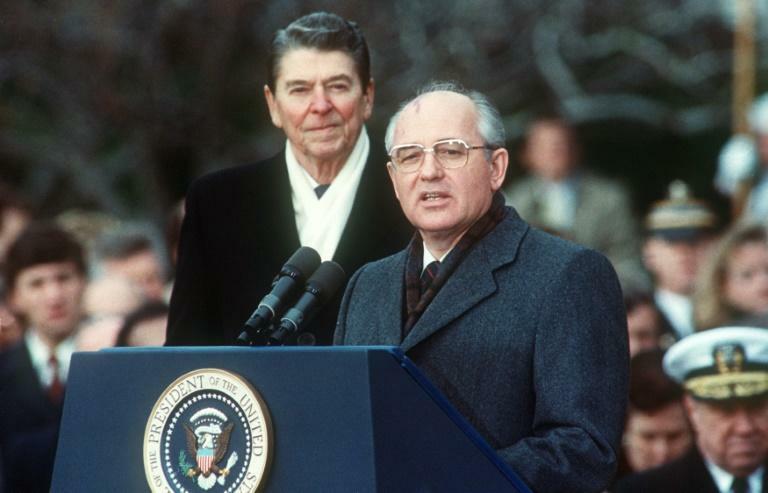 The treaty was signed by then US president Ronald Reagan and Gorbachev, the last Soviet leader, who on Sunday told Interfax news agency that "dropping these agreements... shows a lack of wisdom" and is a "mistake". Germany "regrets the planned withdrawal" and it will require discussion among NATO countries, a government spokeswoman said, calling the treaty "an important element of arms control". But Trump on Saturday claimed Russia had long violated the treaty. "We're the ones who have stayed in the agreement and we've honoured the agreement, but Russia has not unfortunately honored the agreement, so we're going to terminate the agreement and we're going to pull out," he told reporters. "Russia has violated the agreement. They've been violating it for many years," he said. "And we're not going to let them violate a nuclear agreement and go out and do weapons (while) we're not allowed to." Trump's National Security Advisor John Bolton arrived in Moscow on Sunday and is set to meet Russia's Foreign Minister Sergei Lavrov on Monday. Kremlin spokesman Dmitry Peskov told Russian news agencies that President Vladimir Putin may also meet Bolton to seek "clarifications". The row comes ahead of what is expected to be a second summit between Trump and Putin this year. The Trump administration has complained of Moscow's deployment of Novator 9M729 missiles, which Washington says fall under the treaty's ban on missiles that can travel distances between 310 and 3,400 miles (500 and 5,500 kilometres). The INF resolved a crisis over Soviet nuclear-tipped ballistic missiles targeting Western capitals. The latest rift could have "the most lamentable consequences", political analyst Alexei Arbatov told Interfax news agency, dragging Russia into a "new cycle of the arms race". A Russian foreign ministry official earlier accused Washington of implementing policy "toward dismantling the nuclear deal". For many years, Washington has been "deliberately and step by step destroying the basis for the agreement," said the unnamed official quoted by state news agencies. The official accused the United States of backing out of international agreements that put it on an equal footing with other countries because it wanted to protect American "exceptionalism". Russian Senator Alexei Pushkov wrote on Twitter that the move was "the second powerful blow against the whole system of strategic stability in the world" after Washington's 2001 withdrawal from the Anti-Ballistic Missile treaty. Bolton himself is pressuring Trump to leave the INF and has blocked talks to extend the New Start treaty on strategic missiles set to expire in 2021, according to The Guardian newspaper. US withdrawal from the INF "will destroy any prospects of extending the New Start treaty," the head of the Russian Senate's foreign affairs committee Konstantin Kosachev warned on Facebook. The US plan to withdraw from the INF is also targeting China. As a non-signatory, Beijing can develop intermediate-range nuclear weapons without constraints. US-Russia ties are under deep strain over accusations that Moscow meddled in the 2016 US presidential election. The two countries are also at odds over Russian support for the Syrian government in the country's civil war, and the conflict in Ukraine. On Friday, the US Justice Department indicted the finance chief of Russia's leading troll farm for allegedly interfering with US congressional elections to be held in November. Russia accused the United States of fabricating the charges. While no new summit between Trump and Putin has yet been announced, one is expected in the near future. A senior Trump administration official said another potential date could be when both presidents attend the Group of 20 meeting in Buenos Aires on November 30 and December 1.